Next-generation sequencing (NGS) technologies are increasingly being used for diagnosis and monitoring of infectious diseases. Here, we review the application of NGS in clinical microbiology focusing on genotypic resistance testing, direct detection of unknown disease-associated pathogens in clinical specimens, investigation of microbial population diversity in the human host, and strain typing. We have organized this chapter into three main sections: (1) applications in clinical virology; (2) applications in clinical bacteriology, mycobacteriology, and mycology; and (3) validation, quality control, and maintenance of proficiency. Though many challenges remain, NGS continues to hold enormous promise for clinical infectious diseases testing. Material and references were used from Lefterova MI, Banaei N, and Pinsky BA. Genomic Applications in the Clinical Management of Infectious Diseases. In: Netto GJ, Schrijver I, eds. 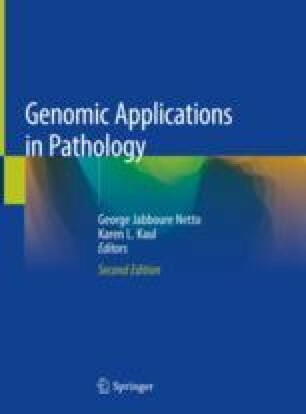 Genomic Applications in Pathology. 1st Ed. Springer. 2015. The authors thank the AMP NGS in ID Work Group, a joint project of the AMP Infectious Diseases Subdivision Leadership and Clinical Practice Committee for their contributions to the previous version of this manuscript .